The boys were trying to imitate the dude breakdancing on the Toyota USA Corolla commercial tonight. And I was trying my hand at iMovie. Check out the results. So very hard to believe it's already been 12 years. 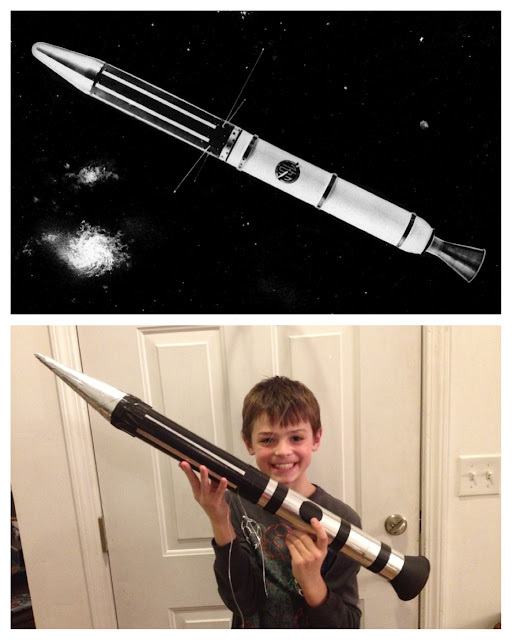 Andrew 3rd grade science project was about something in space and he chose the Explorer I as his focus. He had to create a file card (type of report) & model and be able to present it to his class. We were pretty proud of what we were able to do with some PVC pipe, duct tape, a funnel, and some wire (transmitting antennae). Still waiting to find out his grade. The same night I found Andrew with the stocking cap on, I also found a little artwork on AJ's sheets. The other night, this is how I found Andrew sleeping. No shirt, but a stocking cap. In bed. And he showered before bed, so his hair was awesome in the morning. 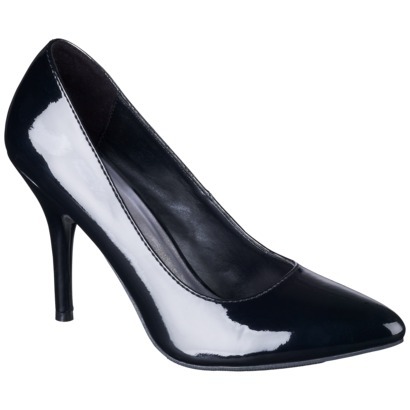 New Shoes for Mama! I love them and I'm excited when I get a chance to wear them. I’ve been blogging for over 8 years. That’s a lot of great and not so great moments documented. I main reason I blog is to remember these times… good and bad. 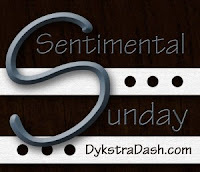 “Sentimental Sunday”, is when I link back and remember posts I’ve written in the last several years. Originally Posted September 6th, 2008 …"Can I nuggle you" …. Remember when poor little AJ missed almost a whole week of school before Christmas because he was SO very sick? Well, it happened to be the same week that his teacher chose to "fish" him. This is where he get recognized in front of the whole school during an assembly. Mrs. Teacher is fishing AJ. 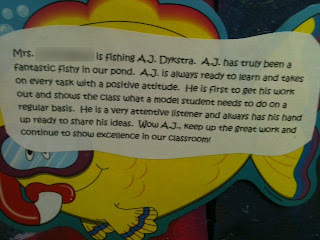 AJ has truly been a fantastic fish in our pond. AJ is always ready to learn and takes on every task with a positive attitude He is first to get his work out and show the class what a model student needs to do on a regular basis. He is very attentive listener and always has his hand up ready to share his ideas. Wow AJ, keep up the great work and continue to show excellence in our classroom. Sentimental Sunday: So you better treat him right. Originally Posted December 5th, 2008 …"It is really snowing out. It's quite beautiful.." …. IMPORTANT! You have been recoŗded ʍasturbatıng! I have Novipw Novitasari.mp4! TWIRL SPRING 2017: Save the Date! Life with four boys...coffee please! WOW! Where'd the time go?